Something’s Coming Up -- and it’s BIG! Ever wondered if "Even Now" could possibly have a bigger—more spectacular ending? Ever sung "Can’t Smile Without You" with 18,000 other people... under the stars... accompanied by a full-blown orchestra? “Something’s Coming Up” and this time we DO know what it is -- and it’s BIG. It’s so big (the show that is) that we can’t possibly contain it all in one night! Barry is playing the Hollywood Bowl on Friday, September 6th, and Saturday, September 7th, with the internationally-renowned LA Philharmonic. As part of the bowl subscription series, only people who have purchased multiple shows can purchase tickets now... unless you know us! So tell your friends. Tell your parents. Tell your neighbors. We’ve got the only individual show tickets available. Joe Public can’t buy a ticket for just these shows until May... but you can... RIGHT HERE...RIGHT NOW. Tickets are on sale NOW to fan club members at www.manilow.com/tickets or by calling 424.298.4818. Not a fan club member? Not a problem. 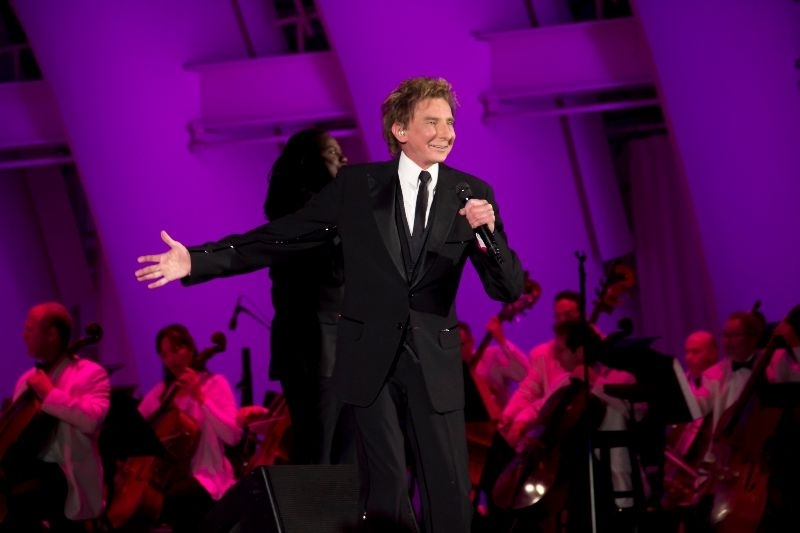 Join now (www.shopmanilow.com/bmifc) and gain (almost) immediate access to tickets. Come see why bigger is better.